Instead of spending endless hours comparing rates for individual or group dental insurance policies, come to the agents from Kentucky Health Solutions in Lexington, Kentucky. Backed by extensive experience in the industry, we’ll help you select a policy that benefits you most. Dental insurance works in much the same way that medical insurance works. For a specific monthly rate (or “premium”), you are entitled to certain dental benefits, usually including regular checkups, cleanings, x-rays, and certain services required to promote general dental health. Some plans will provide broader coverage than others and some will require a greater financial contribution on your part when services are rendered. Some plans may also provide coverage for certain types of oral surgery, dental implants, or orthodontia. What kinds of dental plans are available? Like health insurance plans, dental insurance plans are usually categorized as either Indemnity or managed-care plans (Dental PPO plans fit in this latter category). 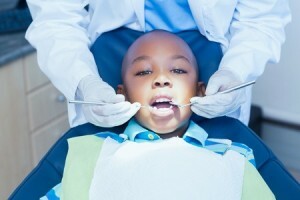 Put broadly, the major differences concern choice of dental care providers, out-of-pocket costs and how bills are paid. Typically, Indemnity plans offer a broader selection of dental care providers than managed-care plans. Indemnity plans pay their share of the costs for covered services only after they receive a bill (which means that you may have to pay up front and then obtain reimbursement from your insurance company). Managed-care plans typically maintain dental provider networks. Dentists participating in a network agree to perform services for patients at pre-negotiated rates and usually will submit the claim to the dental insurance company for you. In general, you’ll have less paperwork and lower out-of-pocket costs with a managed-care dental plan and a broader choice of dentists with an Indemnity plan. Enter Text Below:To use CAPTCHA, you need Really Simple CAPTCHA plugin installed.